Maybe the time has come that, as a business owner in Trophy Club, you are noticing the flooring in your business space is deteriorating and needs to be immediately assessed for removal. The floors are the first thing that helps to set the best first impression to your clients, and at American Flooring Removal we are aware of how very important it is for you to have your best opportunity for an excellent first impression, stay in budget, not compromise on quality as well as keep the time schedule well protected. Please don’t hesitate to contact our licensed experts who are available to provide you with a quick, yet thorough, assessment and get your project completed with as little disturbance to your business as possible with the excellence you deserve. If your tile, hardwood, laminate, concrete, or natural stone floors need to be replaced, contact American Flooring Removal today to bring your vision to life. You may be surprised to know, that every house sees times where a face lift is in order, and other times where it needs ant entire remodel. It does not matter what season your house may be in, and no matter what your budget may look like, American Flooring Removal is here to partner with you in setting this process up for your best possible scenario. Each step of your process, from the initial assessment to the final clean up, is dedicated to providing you with the most effortless process for having new floors as possible, because we know the importance of having the least amount of intrusion to your daily routines as possible. Our highly trained experts also understand that having the floor reflect the atmosphere in your home is vital to having a solid increase in value to your home. Contact our licensed experts today so we can help you get the vision you have started. Being equipped to find the perfect solution to the traditional methods of flooring removal hasn’t even been an option for home and business owners in Trophy Club and the greater Dallas-Fort Worth area. This particular process made it impossible to avoid all the debris, dust, trash, havoc and chaos that comes with the old ways of removing your flooring. 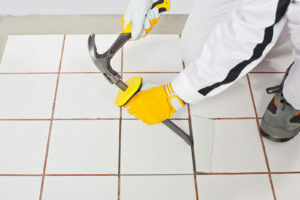 Far beyond inconvenient, the time, money, and harmful dust created such a burden on home and business owners that they would delay as long as possible to repair and replace the flooring. These delays have caused severe challenges in maintaining appeal and value to both homes and businesses. American Flooring Removal in Trophy Club is here, with the solution to your dust-free, fast, affordable, and efficient flooring removal needs. We address everything from tile, hardwood, Saltillo tile, to ceramic, and many other types and styles of flooring, and there is no better company to call than American Flooring Removal. With our dust-free, environmentally friendly equipment and clean, efficient process, this make us the top choice in the Trophy Club and greater Dallas-Fort Worth metro areas. It is our honor to guarantee that when you partner with American Flooring Removal, you are securing the best state of the art equipment, cutting edge design, quality, value, and experience in our licensed experts. Knowing to refuse to settle, or expecting you to settle, we take your investment seriously, placing the highest priority on your expectations and going beyond them. We believe that it is not too much to ask for a nice new floor, and we continually seek to stay within your budget, providing the highest quality, and without compromising on a single detail in excellence. Because your investment is our investment, we have placed the highest level of our own excellence upon providing you with the best possible equipment for dust free removal in Trophy Club. It is important to note that the remodeling process can create pounds of dangerous and unwanted harmful dust particles, forcing a large amount of plastic drapes and many more intrusions on you, your family, employees and clients. We take all that chaos away, guaranteeing dust free equipment that has the power to remove the floors from a house or business building in less time than traditional flooring removal equipment can manage. Our detailed process leaves a superior, flat, clean subfloor ready for your new flooring installation. Because we have saved you so much time on planning, sanding, and other preparation work, we guarantee you can enjoy your new floors even sooner than you think! Given our up-to-date processes, highly skilled professionals, and state-of-the-art machines, American Flooring Removal in Trophy Club promises incredible results. While it’s no secret that American Flooring Removal isn’t the only flooring removal company in the greater Dallas Fort Worth area, we have quickly become the only one for a majority of home and business owners in Trophy Club! Whether you need a residential or commercial solution to flooring removal and replacement, American Flooring Removal promises a quick, budget conscious, dust-free removal solution. Our dust-free method leaves your floors perfectly prepared for the next step in your replacement and revamping project, and our easy cleanup helps you save money. Let us show you how American Flooring Removal can save you hassle, money, and time in your next renovation or home improvement project. Once you have secured your team of experts at American Flooring Removal, we guarantee a clean and efficient flooring removal process at excellent prices and with fantastic customer service from day one. We can absolutely handle any residential or commercial project in Trophy Club and the greater Dallas-Fort Worth area. It doesn’t matter the type of flooring, American Flooring Removal in Trophy Club can get the job done. Call us or Contact us to schedule a consultation or quote today! We serve entire Trophy Club, TX 76262.